This country keeps getting better and better. Each location I travel to is more dramatic and beautiful than the last. 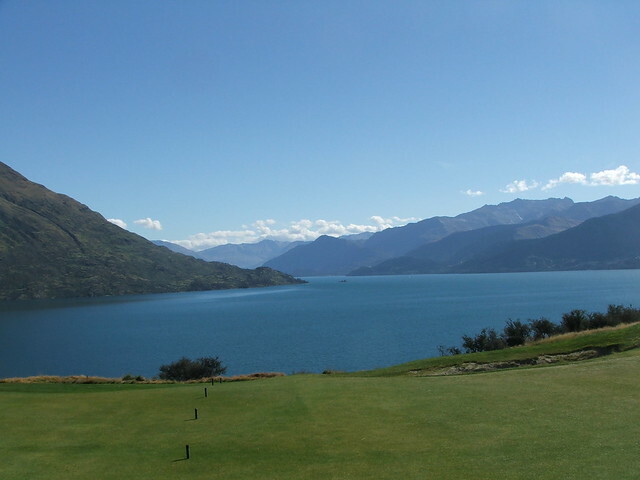 Queenstown, on the lower portion of the south island has the "Remarkables", a mountain range that is as the name applies. Jack's Point is a hidden gem that we thoroughly enjoyed, a full write-up to come later this Spring. The view from Jack's Point, Queenstown, New Zealand. The course combines elements of Pebble Beach, Loch Lomond and other great courses. What a treat.